Pardee Homes Larimar in The Villages at Tule Springs features new homes priced from $366,500 in a master-planned community. Pardee Homes’ Larimar in The Villages at Tule Springs features new homes priced from $366,500 in a master-planned community. Larimar is just off of the 215 Beltway at Revere Street and Dorrell Lane and is close to schools, retail, dining, entertainment, Aliante’s Nature Discovery Park and Aliante Library. For more information on available homes, visit pardeehomes.com or call 702-602-9684. New Home Gallery hours at Pardee Homes’ Las Vegas Valley neighborhoods are 10 a.m. to 6 p.m. Tuesday through Sunday and 2 to 6 p.m. Monday. Larimar Plan One, priced from $366,500, measures 2,619 square feet with three bedrooms and 2½ baths, loft, den, great room and two-car garage. An optional fourth bedroom and third bath are available. Plan Two at Larimar, priced from $379,500, measures 2,864 square feet with four bedrooms, three baths, bonus room, great room and three-car garage. An optional fifth bedroom is available instead of the bonus room. The Larimar Plan Three measures 3,119 square feet with four bedrooms, 3½ baths, great room, bonus room, den and two-car tandem garage. Options include a GenSmart Lounge instead of the den and fifth bedroom instead of the bonus room. The Plan Three is priced from $394,000. 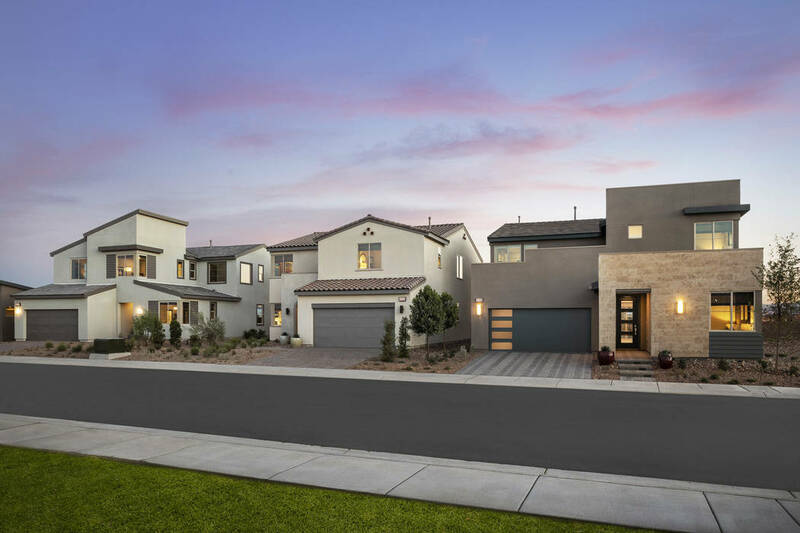 Pardee Homes’ Make Your Move to Modern Sales event showcases move-in-ready and under-construction modern designs at the builder’s Southern Nevada neighborhoods. The select homes include special incentives, such as a closing cost credit, bonus design studio credit and the opportunity to lock in an interest rate. Pardee Homes Las Vegas builds thoughtfully designed and innovative new homes and communities for first-time through luxury homebuyers. Established in 1921, Pardee Homes was among the first to embrace master-planned community concepts, green homebuilding measures, environmentally sensitive development practices and customer-focused processes for new-home purchases. Pardee Homes Las Vegas has built more than 40,000 homes throughout Southern Nevada in the past 65 years and has earned scores of design honors including, most recently, 2018 Nationals Silver awards and 2017 Nationals Gold awards by the NAHB National Sales and Marketing Council; 2018 and 2017 Gold Nugget awards by PCBC; and eight 2018 Silver Nugget Awards by the Southern Nevada Home Builders Association. And the company was awarded a 2018 Eliant Homebuyer Choice Award. Pardee Homes is a member of TRI Pointe Group, a family of premium regional homebuilders. For more information about Pardee Homes Las Vegas, visit PardeeHomes.com/Region/Las-Vegas.